A total of 22 Nicklaus Design golf courses have earned top honors in the second annual World Golf Awards, held November 8th at the Conrad Algarve in Portugal. The 22 layouts recognized were named Best Golf Course or Best Golf Hotel in seven countries and 14 states, with two Nicklaus Design layouts in Mexico winning honors for “Best in Country” golf course (Ocean Course at Cabo del Sol) and “Best Golf Hotel” (One & Only Palmilla). The awards represent the leading global initiative to recognize, reward and celebrate excellence in the golf hospitality industry. A total of 75 Nicklaus Design properties were nominated. Including Cabo del Sol, six Nicklaus Design golf courses received “Best in Country” awards: Kalhaar Blues & Greens (India), Damai Indah—Bumi Serpong Damai course (Indonesia), Manila Southwoods—Masters Course (Philippines), Sky 72 Golf Club—Ocean Course (South Korea), and Golf Club Crans-Sur-Sierre (Switzerland). Eight Nicklaus Design golf courses captured “Best in State” honors: Bayside Resort Golf Club (Delaware), Valhalla Golf Club (Kentucky), The Country Club of Louisiana, Old Works Golf Club (Montana), Dismal River Golf Club (Nebraska), The Club at Las Campanas—Sunset Course (New Mexico), Muirfield Village Golf Club (Ohio), and Harbour Town Golf Links (South Carolina). 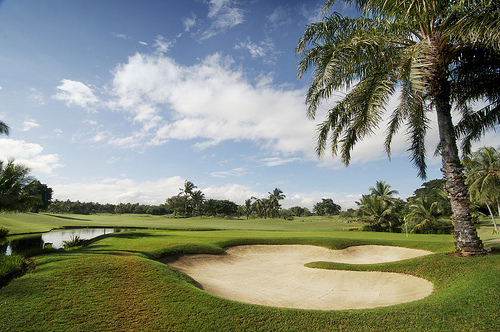 Golf tourism constitutes a vital segment in the global travel and tourism marketplace. According to the World Golf Awards organization, an estimated 60 million golfer visits will take place in 2015 to the 32,000 golf courses and resorts worldwide. The 2015 World Golf Awards focused on 130 nations which are shaping the future of the dynamic golf industry. “It has been a privilege to recognize the international leaders in golf hospitality and to shine the spotlight on some of the best golfing destinations from around the world,” said World Golf Awards Managing Director Christopher Frost. There were eight destinations anchored by one or more Nicklaus Design courses that received “Best Golf Hotel” honors in their respective countries or states. Those recognized as Best in Country were One & Only Palmilla (Mexico), and The Westin Bear Mountain Golf Resort & Spa (Canada). Six U.S. properties featuring Nicklaus Design courses earned Best Golf Hotel in their states: The Ritz Carlton, Dove Mountain (Arizona), The Broadmoor (Colorado), The Ritz-Carlton Lodge, Reynolds Plantation (Georgia), Ocean Edge Resort & Golf Club (Massachusetts), Pronghorn (Oregon), and The Greenbrier (West Virginia). Votes were made by professionals working within the golf travel and tourism industry including senior executives, travel buyers, tour operators, agents and media professionals. Votes were also cast online by the public. To learn more about the World Golf Awards, visit worldgolfawards.com.